December, Cape Lookout Shoal: You break the inlet at 4:00am, hoping to get an early start and scout the area in the dark. The air is chilled and exhilarating this time of year in Morehead City. Anticipation is high, as these are no ordinary tuna you are hunting. The first baits are deployed in total darkness, as the captain carefully monitors his bottom scope for signs of bait and fish. As the sun cracks and the horizon becomes just barely visible, the right long snaps hard and the 80wide starts screaming. As you stare mesmerized while line is being pulled effortlessly at 45 pounds of drag, the left long snaps and starts screaming equally as fast. The Captain’s yelling “TWO ON, CLEAR THE PIT”….as you continue to stare in amazement. 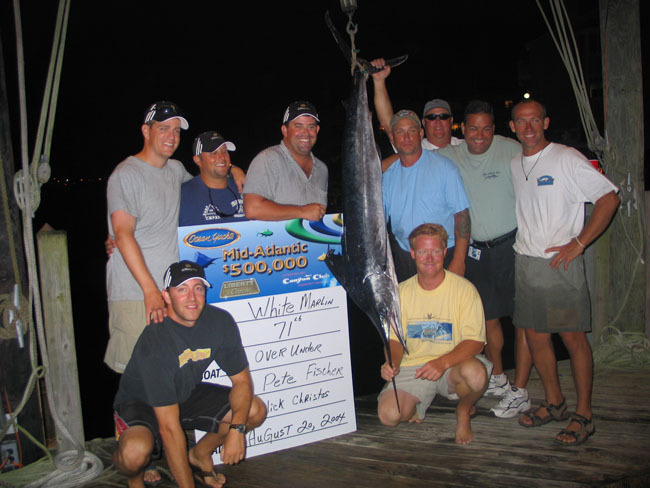 Morehead City has become a destination of choice for anglers seeking to tangle with the largest tuna in the ocean, the Giant Bluefin. These migratory fish take up winter residence at Cape Lookout Shoal off of Morehead City, NC. Cape Lookout Shoal holds large schools of menhaden at this time of year, which is what the Bluefin are feeding on. The shoal runs out approximately 12 Miles from the inlet. Often times, you’ll find yourself fishing less than 6 miles out. At other times, you may have to run up to 20 miles to find the fish. Water depths range from as little as 30 feet to up to 125 feet depending on where you locate the fish. Prime season for Giant Bluefin is late November through early February. Generally speaking, earlier in the season you can count on better weather and less chance of getting blown out. The other advantage of fishing earlier, is that the fish seem to congregate on the west side of the shoal, whereas later in the season, the fish move to the east side, which is a good bit further offshore. In November and December, you want to start to look for the fish at the #8 “Trawler Buoy”, which is only 6 miles offshore. In January, you will be more likely to find the fish east of the shoal holding on wrecks like the “Atlas Tanker” and “D Wreck”, which are both about a 20 mile run. Large temperature breaks are common this time of year, sometimes as much as 10 degrees. Working these breaks, typically on the warm side, will often produce bites as well. One thing to understand is that there is a large commercial fishery for Bluefin Tuna. Most are shipped to Japan and bring high dollars at the dock. The average Bluefin caught in Morehead City will sell for about $2500, when they are in season. Exactly when this season occurs, is an entirely separate matter. Best thing to do, is call National Marine Fisheries (NMFS) and speak directly to them. Why is this important to the recreational fisherman? When the season is open, expect increased boat traffic and competition on the fishing grounds. If at all possible, schedule your trip at another time. In 2005, NMFS has initiated a commercial closure on Friday, Saturday, and Sunday, to allow recreational anglers to target these fish for catch and release. Recreational fishing is primarily a catch and release fishery, so don’t count on taking your fish home. The average fish caught out of Morehead is 80 to 88 inches, which will weigh in from 300 to 450 pounds. Large fish over 96 inches, while not common, do get caught. A typical 96 inch fish will weigh in at about 600 pounds. 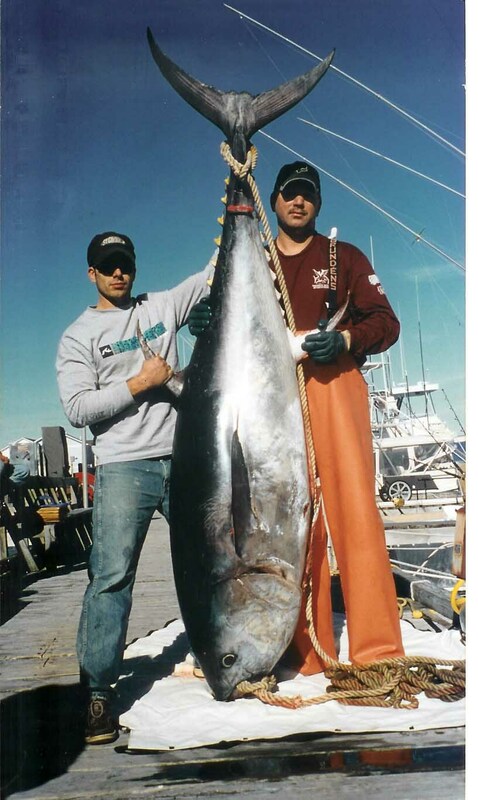 In 2004, there were also a fairly large number of “undersized” fish caught. These fish, less than 73 inches can often be boated, based on the NMFS limits in place at the time. A 73 inch fish will weigh approximately 200 pounds, depending on how it carries its girth. On a typical day, expect about 3 bites. On a real good day, you can get as many as 6 or 8 bites. Of course, it’s still fishing and there are days when you will troll without a bite despite all your best efforts. This fish, pictured at Seawater Marina and boated by Capt. Bob Balut, measured 87 inches and weighed in at 347 pounds. 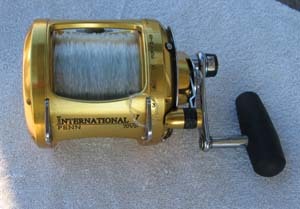 Penn 70VSW, Ideally suited for Giant Bluefin Standup Fishing. Spooled with 750 yards of 150 pound Power Pro and a 125 yard top shot of 130 pound mono. This is not light tackle fishing. Expect to use primarily 80’s and 130’s and fight your fish from a chair. For the experienced and seriously motivated, stand up fishing with 50’s and 70’s can also be done. 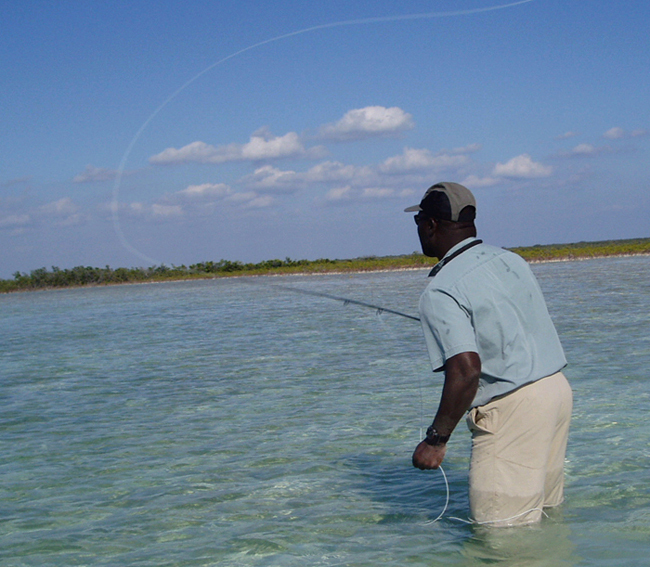 A great harness is a must, as you might be on your fish for anywhere from 30 minutes to up to 3 hours! On the OVER UNDER we are fishing Penn 70’s, 80’s and 130’s spooled with 150 pound power-pro, top shotted with 130 yards of 130 pound monofilament. To the mainline, we attach a 200 pound wind-on leader, crimped to 18 feet of 280 pound fluorocarbon, and last but not least, a 10/0 Mustad 7691DT hook. We use all wind-on swivels, with no snaps to reduce the chances of tackle failure. 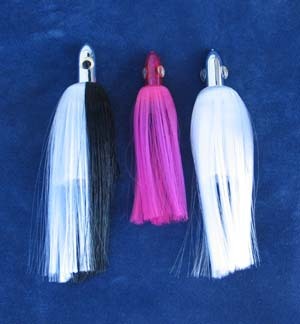 The most common bait is a simple horse ballyhoo, pulled behind an Islander. Colors that seem to work well are Crystal, Pink, Blue & Pink, as well as Black & Crystal. A typical spread consists of two flat lines fished on large planers down deep, with two additional baits pulled from the long rigger position. The planers are rigged on about 60’ of 400 pound mono and tied to the stern cleats. The main line is attached to the planner with a #64 rubber band. With a little practice the planers can be easily tripped when the lines need to be cleared in a hurry. Z-Wings also work well, although somewhat more difficult to trip. The two long riggers are pulled way back, almost to the point where we are into the backing and past our 130 yard mono top shot. Typical trolling speeds are about 7 ½ knots, depending on current and sea conditions. These fish are POWERFUL. Drag setting of 45 pounds and more are the norm. Do not be surprised if you see “the knot” a couple times at the bottom of the spool, during the course of the fight. 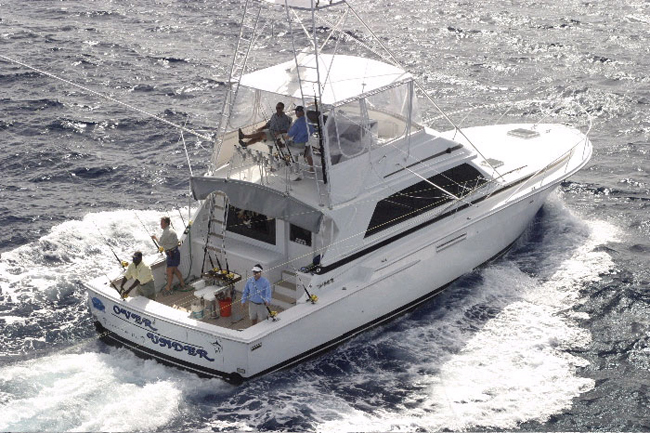 Smaller boats using stand up tackle, can turn and chase the fish, while larger sportfish, fighting from chairs, are typically backing down after them. The battle can last from 30 minutes to up to as much as 3 hours or more. 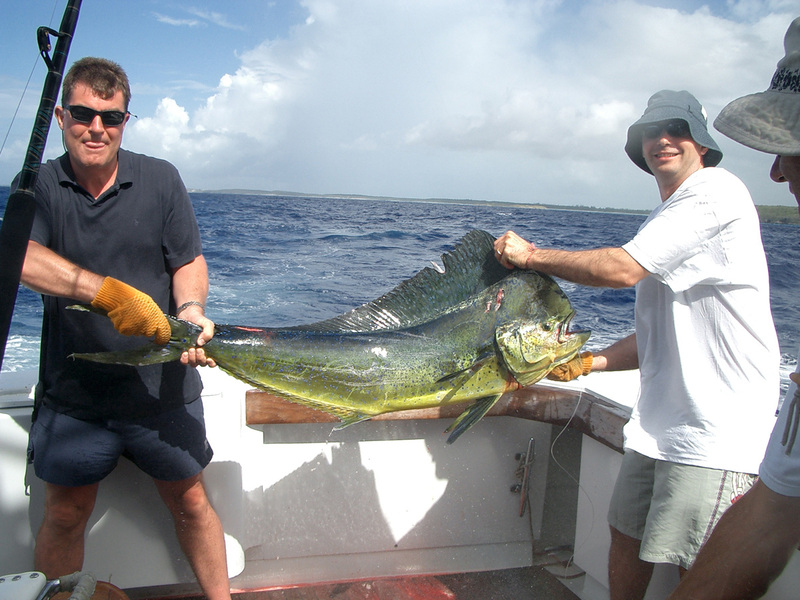 Boat-side, if the fish is to be released, photos can be snapped and typically the leader will be cut, leaving the hook in place to quickly rust out. 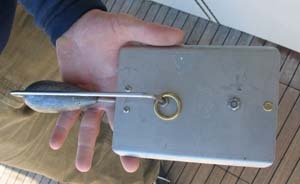 If the fish is to be boated, flying gaffs or more preferably darts are typically used to secure the fish to the boat, before being bled, and eventually hoisted through the transom door. If you don’t have a door, and even if you do, you need to think about how to get these fish in the boat. A block and tackle, as well as a come-along will come in handy! The weather at this time of year is somewhat unpredictable. Best to be prepared. Foul weather gear is strongly recommended, along with rubber boots, gloves, a hat, and warm loose fitting clothing. When it’s your turn in the chair, you are going to want to shed some layers! Hotels are plentiful on Atlantic Beach and rates are quite reasonable, since this is the off season. 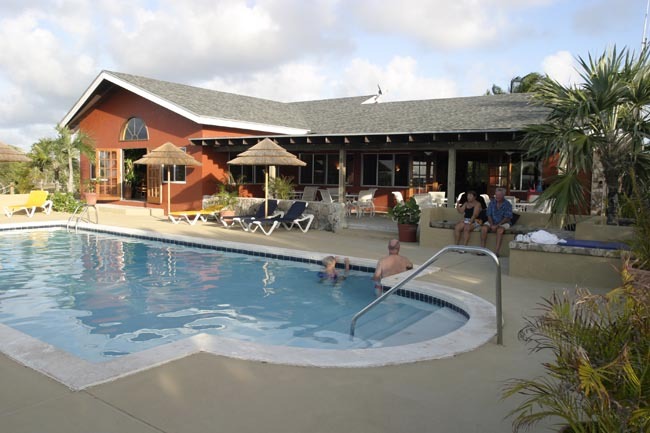 Try the Sheraton on Atlantic Beach (800) 624-8875, or Amerisuites (252) 247-5118 for starters. US Airways has commercial service into New Bern, NC, which is about a 40 minute drive to Morehead City. If you happen to have your own plane, or would like to charter a flight, there is also a small municipal airport, Michael J. Smith Field (MRH), right in Beaufort, NC, just a couple minutes drive away from the docks. Over Under Adventures is a top notch operator of Big Game Fishing Charters up and down the East Coast and Bahamas. In the winter and spring, you’ll find the OVER UNDER prowling the waters of the South-East Bahamas in search of world class Wahoo, Tuna, and Blue Marlin. In the summer and fall, the OVER UNDER is patrolling the canyons off of South Jersey for Tuna and Marlin. Come November, however, you’ll need to be in Morehead City, NC if you want to catch the OU in action as it tangles with the biggest tuna of them all, the GIANT BLUEFIN! Over Under Adventures specializes in all-inclusive fishing packages to these and other destinations. 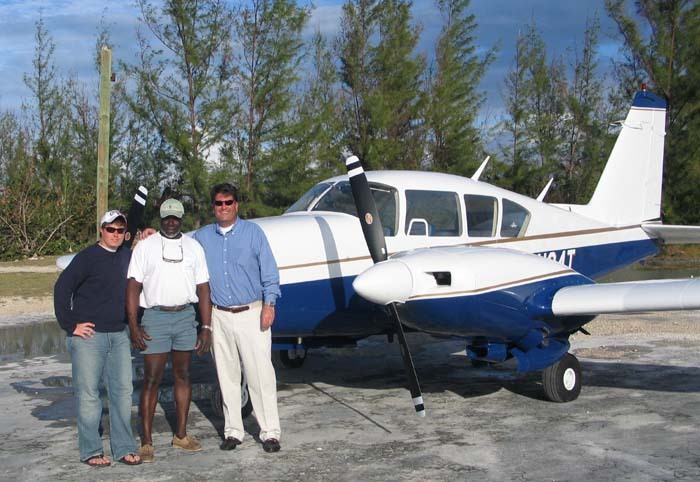 Additionally, OUA operates a charter airline service which supports its fishing operations and caters to the Big Game Fisherman. For further information, please contact Over Under Adventures at:(305) 852-8015, or via email at info@overunderadventures.com. You can also view them online at www.OverUnderCharters.com. Designed and hosted by rising tide media llc.